Capturing the beauty of the beach and sea, Silver Chelles is a beautiful jewellery boutique right in the heart of Historic Redcliffe Quay. Every item of jewellery at Silver Chelles is handcrafted, making each piece totally unique & truly beautiful. 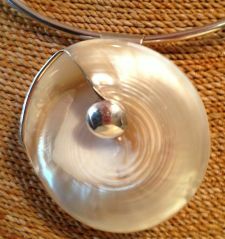 A wide variety of Pendants, Bracelets, Rings & Earrings are available, all set with polished Seashells. The seashell range includes Abalone, Mother of Pearl, Shiva Eye, Coral, Nautilus & many other Shells. Silver Chelles owner Michelle is passionate about each piece of jewellery, having chosen every piece or in some cases helped with their design. In addition to some stunning jewellery, you will also find some beautiful Seashell adorned evening bags, just the perfect size for a phone & lipstick! You may also be tempted by an elegant selection of small gifts, all seashell orientated…..seashell tealights, candles, wine bottle stoppers . 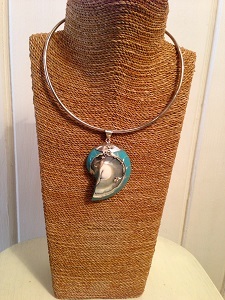 The specimen seashells that are used to make the jewellery are also available for you to buy. There are Abalone shells, Nautilus shells, Trochus shells, Pearlised Snails, Magpie Snails, Green Snails, White Starfish, Knobbly Starfish and Sugar Starfish. 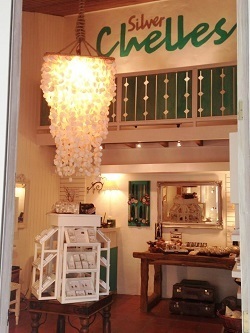 In Silver Chelles, sights, sounds, smells and a welcoming smile all create a special ambience. It is a boutique you must not miss…..if only to marvel at the magnificent, handcrafted seashell chandelier which lights up Silver Chelles in Redcliffe Quay! 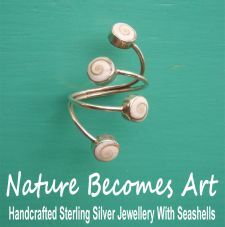 Our jewellery is also available to buy online at www.SilverChelles.com. Free Delivery to anywhere in Antigua and International delivery to the UK, USA, Canada and Europe.